Item is a group photograph of students at the Halifax Ladies College. 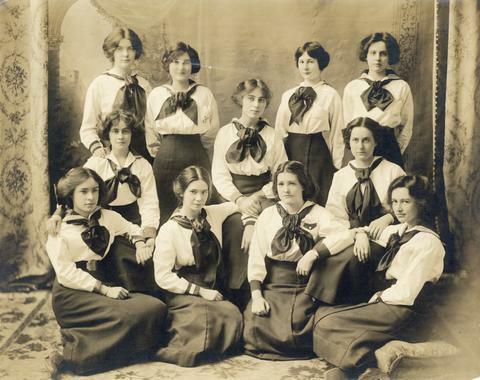 The photograph shows Catherine; Catherine; Ella; Helen Putnam; Olga Clemen; Mary Shaffner; Marjorie MacKenzie; Laura; Carol McInnes; Beryl; Muriel Robers; and Hazel Evans. Photograph previously located in PC2, Box 5, Folder 10.